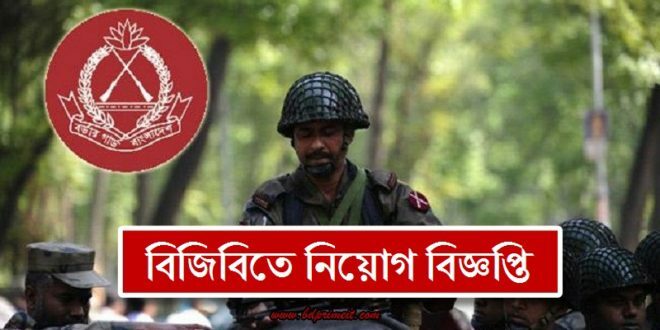 Border Guard Bangladesh Job Circular 2017 has been published. This job circular only SMS based. SMS apply start 26th April, 2016 and close of this job SMS 28th April, 2016. This job position are many categories Staff Nurse, Family Welfare Assistant, Midwife, Ward boy, Assistant OBM Driver, Assistant Launch Driver, Machinist, Tailor, Boot maker etc. Border Guard Bangladesh (BGB) is the paramilitary force in the country. The glorious history of the organization is replete with rich traditions and successful military expeditions. The HQ of BGB is located at Pilkhana, Dhaka. Presently the organization has 12 sectors to perform its tasks. These sectors will be organized under 4 Regions with 3 more new sectors in near future. 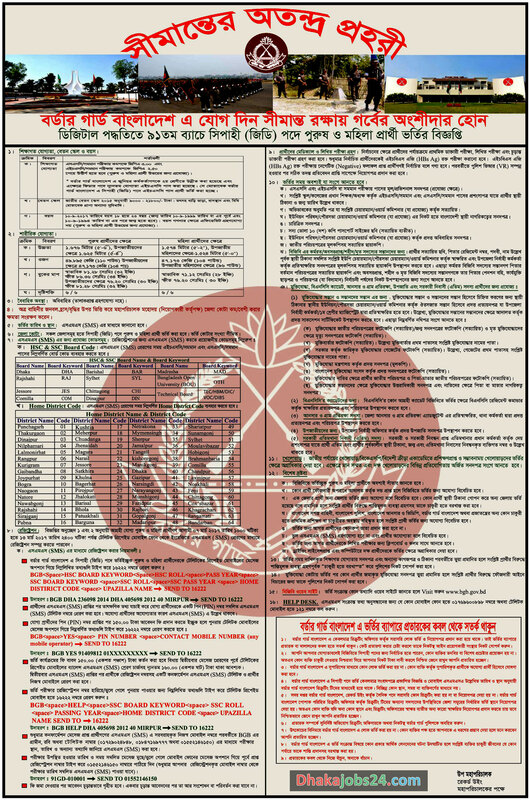 Border Guard Bangladesh (BGB) recently published job Circular 2016. This job Circular is eligible for Civil of Bangladeshi people. Border Guard Bangladesh (BGB) recruited this job circular are recruited some verities categories the following are some instruction as follows. This application procedure by SMS method and those who are selected for exam also sent to SMS to every candidate. Male and female candidates selected this recruitment process of this job circular.